Romania ranks 16th of 58 in a ranking of states in terms of action against climate change. Climate Change Performance Index 2014 (CCPI 2014) was released today by Germanwatch and Climate Action Network – Europe (CAN Europe) in the UN Climate Change Conference – COP 19 in Warsaw, Poland. According to the IPCC 2014, our country ranks in a better position than in previous years (18 in 2013, 28 in 2012), but this is due rather to the regress of other states. The best score of the 15 indicators evaluated was obtained in the “Trends in Efficiency” chapter, which evaluates the structure and efficiency of the energy system and energy mix and where Romania was ranked the 4th, the same as last year. In contrast, the worst results were recorded in the “National Climate” and “Emissions from road transport” ranked 42th. The new edition of the CCPI was released by Germanwatch and CAN Europe in Warsaw at the UN climate talks today. The results show emissions worldwide have climbed to a new peak and no single country is yet on track to prevent dangerous climate change. Nevertheless, no country made it into the first three spots on the list due to a lack of ambition to reach the goal of keeping global warming below two degrees Celsius. Denmark clearly defended its fourth place in the Index. Its policy evaluation is exceptional: it managed to slightly improve its score in nearly every sector compared to the previous year. The United Kingdom took 5th place (previously ranked 10th) due to a decrease in emissions of 15% in the last five years plus an improvement in its efficiency, while Portugal is ranked 6th (previously ranked 7th). “The latest UNEP Emissions Gap report also shows that current policies of all countries are insufficient to keep the world on a pathway to stay below 2°C. This should be a wake up call for all governments to begin speeding up emission reductions. The European Union and its Member States, though currently high up in the rankings, cannot relax and must increase their 2020 pledge whilst ensuring an ambitious post-2020 target is adopted. Such leadership could help the world to increase action despite the detrimental actions of Australia and Japan”,said Wendel Trio, Director of CAN Europe. Canada and Australia are the worst performers of all the industrialised countries. After a change in government, Australia’s policy evaluation was much worse than previous years; consequently it has fallen to a rank of 57th (previously ranked 51st). One of main reasons for this decline was a turnaround on previous commitments to install a carbon levy and trade system that would have helped to reduce emissions. Canada still shows no intention of moving forward with climate policy and therefore remains at 58th position for another year. Only Iran (59th), Kazakhstan (60th) and Saudi Arabia (61st) have worse ratings. For the first time Germany has dropped out of the top ten – from 8th to 19th, one of the biggest losers in this years index. The main reason is a negative policy evaluation by national experts. Unusually, the COP hosting country could this time not improve its ranking substantially. Poland’s overall performance remains one of the worst in the EU. Poland climbed up one place to 45 because of a slightly positive trend in the development of emissions and renew­able energies. The world’s two biggest emitters – China and the USA – are ranking in the lower midfield. China climbed up to 46th place because of its improved performance. “After a period with extremely high emissions growth rates, recent developments indicate a slower growth of CO2 emissions and a decoupling of CO2 growth and GDP growth”, explains Burck. Both, its heavy investments in renewable energies and a very critical debate on coal, give hope for a slower emission growth in the future. In the USA (ranked 43rd), a more active policy to restrict the use of coal has been observed. Regulating existing power stations is supposed to begin by June 2014. 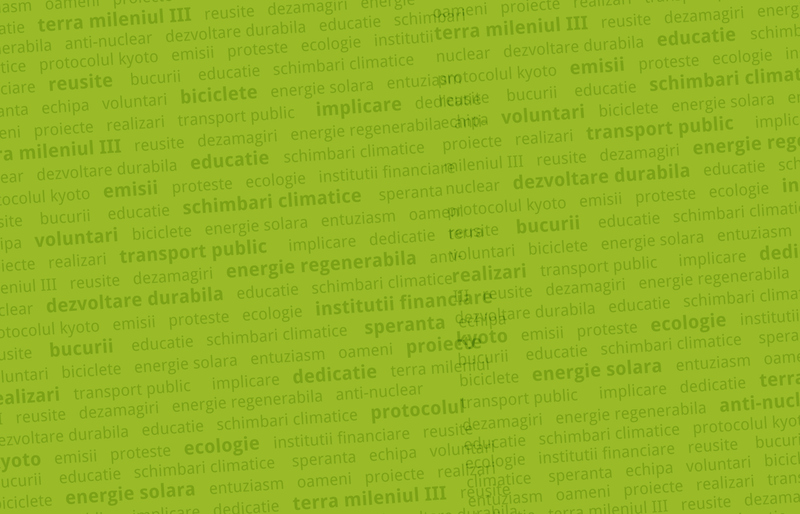 CCPI 2014 is a tool designed to enhance transparency in international climate politics. On the basis of standardised criteria, the index evaluates and compares the climate protection performance of 58 countries that are together responsible for more than 90% of global energy-related CO2 emissions. (More about the methodology can be found in the brochure “The Climate Change Performance Index – Background and Methodology”). 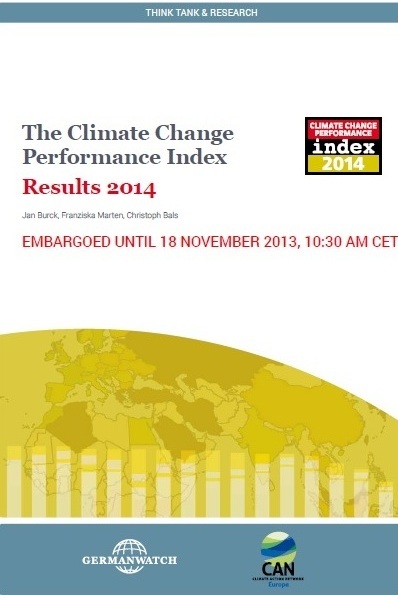 Climate Change Performance Index 2014 is available on Germanwatch website.